Authority Health › Emotional Well Being › What Are The Health Benefits Of CLA? 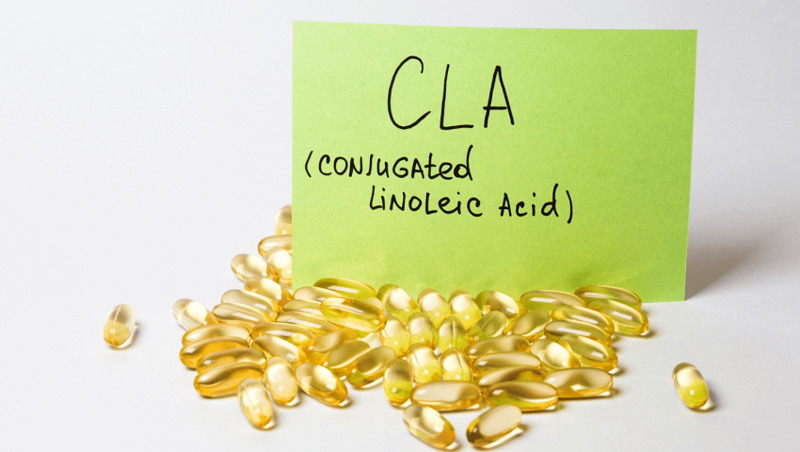 Conjugated linoleic acid, most commonly known as CLA, is a naturally occurring, healthy polyunsaturated (trans) fat. Certain foods and dietary supplements, such as CLA Safflower Oil, are the most common sources of this fatty acid. It has gained widespread appeal among consumers over the past couple of years. So much so that it has become a staple supplement for professional bodybuilders, occasional exercisers, and everyday shoppers. Its popularity is a direct result of the benefits that it can have on the body. Research into CLA is in its preliminary phases, and scientists continue to debate the advantages. However, claims state that the two main isomers cis-9,trans-11 and trans-10,cis-12 play a role in improving various bodily functions. In doing so, it is a sought after supplement with tremendous potential. But, what are its hypothesized benefits? To help you get a better understanding of the fatty acid and what it can do for you, we have compiled a comprehensive article outlining the benefits of CLA. 1. What Are The Weight Loss Benefits Of CLA? For many consumers, one of the most appealing benefits of CLA is its ability to support weight loss. There have been human studies which suggest that consuming three to four grams of it per day promotes fat loss (1). There are various ways in which it works with the body to provide this benefit. Researchers state that the 10,12 CLA isomer affects the body's PPAR-gamma receptors. This process of interaction impedes genes that promote fat storage and fat cell development. 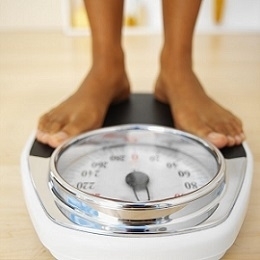 As a result, it can prevent very early stages of weight gain (2). An added benefit of reducing fat storage is the positive impact it has on liver performance. An excess of liver fat can lead to a condition called nonalcoholic fatty liver disease. This disease, which hinders the body's metabolic function, can have severe health implications. It can lead to extreme obesity and type 2 diabetes. The supplementation of CLA can inhibit the deposition of fat into the liver. Therefore, preventing the disease and future health risks. Another influential role is its ability to improve the body's metabolic rate. As a result, it can increase the rate at which the body supplies energy. An improvement in energy expenditure leads to faster fat burning because the body burns fat faster than it is capable of storing it. Furthermore, an increase in energy levels will combat chronic fatigue. As a result, supplementation can positively impact your day-to-day life and workouts. There are many positive CLA Safflower Oil reviews which outline how this supplement can improve your exercise performance. While researchers continue to debate its weight loss potential, studies suggest that it can reduce fat storage and the development of fat cells. As a result, it can inhibit the early stages of fat buildup. Also, it can improve liver function and metabolic rate by increasing energy expenditure. Therefore, it can act as an ideal fat burner when accompanied by regular exercise. 2. Are There Any Cardiovascular Benefits Of CLA? As previously mentioned, it is a naturally occurring trans fat. For years, trans fats have been considered unhealthy. Many scientists continue to argue that trans fats raise bad (LDL) cholesterol and lower good (HDL) cholesterol. An increase in bad cholesterol causes a process called atherosclerosis to take place. In summary, this process is whereby the cholesterol builds up in the artery walls and makes blood transportation more difficult. Heart attacks are a common outcome of this process (3). However, recent studies suggest that natural trans fats found in dairy and meat products, as well as supplements like CLA Safflower Oil, improve heart health. The right doses, low levels, can reduce the risk of heart disease. In particular, research indicates that humans with slightly higher levels of naturally occurring trans fats are less prone to cardiovascular disease (4). 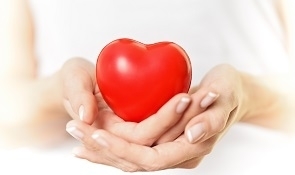 CLA Safflower Oil and other CLA-based supplements may support blood lipid profiles (5). Claims suggest that the use of them can decrease bad cholesterol levels while improving good cholesterol levels. Though findings are not exclusively consistent, they do indicate that conjugated linoleic acid has a positive impact on cholesterol levels. There is a lot of confusion surrounding its role in supporting cardiovascular health. The uncertainty stems from the former notions that trans fats increase bad cholesterol levels in the body. However, recent publications highlight the role that naturally occurring, healthy trans fats play in lowering bad cholesterol while improving good cholesterol. As a result, it may reduce the formation, impact, and frequency of severe heart conditions. 3. Does CLA Have Cancer-Fighting Properties? There is a growing belief that it can combat cancer. In fact, early publications proposing its role in preventing cancer were the first to bring it into the public's awareness (6). Since then, it has been subject to scrutiny. However, several recent studies support the idea that it fights cancer. As a result, the cancer-preventing benefits of CLA have become an increasingly popular and sought-after reason to consume it. CLA Safflower Oil and other sources of it have been linked to the prevention of breast cancer. The substance is known to have anticarcinogenic properties. Studies were done to prove this hypothesis. While results are not entirely conclusive, they are an indication of the positive impact it can have. As an example, animal studies using it as supplementation were conducted. In these studies, the number of tumors in the test subjects decreased after receiving it. While this is, by no means, a completely accurate demonstration of its cancer-fighting potential in humans, it does bode well for the benefits of CLA. Affecting the body's production of eicosanoids. Eicosanoids are polyunsaturated fatty acids that have a negative impact on the body. They can induce inflammation, fever, and clotting. CLA, although a trans fat, can reduce the impact of these eicosanoids. It can encourage apoptosis. This is the process whereby damaged cells are removed to make way for healthy new cells. This may eliminate potentially cancerous cells. Although research is not completely conclusive, it is shown to have a number of anticarcinogenic properties. Consequently, studies suggest that it can prevent the formation of harmful molecules (eicosanoids) and eliminate potentially dangerous skin cells. 4. Are There Immune Supporting Benefits Of CLA? Reports suggest that there are immune supporting benefits of CLA. The substance has anti-inflammatory properties. As a result, it supports many bodily functions. Furthermore, the body's inflammatory response directly influences the entire healing process. In saying so, it can improve the body's ability to heal wounds and fight infections. On top of this, it supports liver health. Therefore, conjugated linoleic acid promotes detoxification in the body. This is important as detoxification flushes out harmful substances and encourages the development of healthy bodily functions. The primary role of it in supporting the immune system is positively impacting specific biochemical reactions and mechanisms (8). As a result, it causes the body to build up a resistance to bacteria and external diseases. It can prevent the onset of infection, reduce harmful inflammation, and prevent imbalances in the immune system. Furthermore, the benefits of CLA on the immune system can positively impact individuals suffering from asthma and severe allergies. This is because it inhibits over-responsive airway inflammation. Airway inflammation is a severe disease that causes breathing to become extremely difficult. It causes the air passages to inflame which, in turn, narrows the airways. This leads to coughing, wheezing, and tightness of the chest. This can be a minor occurrence or a more severe episode. Therefore, CLA may be beneficial for those at risk of or suffering from this condition. There are positive CLA Safflower Oil reviews which highlight how the supplement has supported consumers' immune systems. 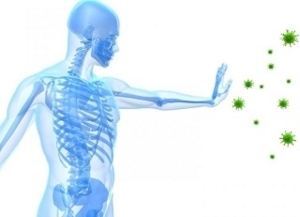 There are a number of positive benefits of CLA on the immune system. Firstly, it can reduce inflammation which may lead to slower healing and pain. Secondly, it promotes bacterial and disease resistance. Also, it may reduce the severity of airway inflammation. In doing so, it can alleviate common conditions and prevent more acute illnesses. It cannot be used as a total care solution, however it can be implemented as a preventative measure. 5. How Do The Bones Benefit From CLA? While this may not be one of the most prominent benefits of CLA, the fact that it may support bone health is an appealing factor. Researchers suggest that it may promote stronger bones and protect them from damage. Consequently, it may be an ideal preventative measure for osteoporosis. Osteoporosis is a disease that results in weak, brittle bones. As a result, it may cause the bones to break or fracture more easily. Commonly, the elderly suffer from it. However, it is also caused by alcohol abuse, smoking, anorexia, kidney disease, and hypothyroidism to name a few. While the benefits of CLA in combating osteoporosis may not be a total care solution, they may serve to inhibit its early development (9). The primary role of CLA Safflower Oil and other CLA-based products in reducing the break down of bones is promoting the body's absorption of calcium. It does this by encouraging signals in the body which allow it to optimally absorb calcium into the bones. Calcium is a key mineral which supports the structural integrity of the bones. Therefore, conjugated linoleic acid can be used in combination with a calcium-based supplement for maximum effect. CLA Safflower Oil and other sources of it can also prevent the behavior of osteoclasts. Osteoclasts are large bone cells that absorb bone tissue during development and healing. Subsequently, they can diminish the bone's integrity and severely weaken them. While there are many beneficial supplements to combat such effects, the benefits of CLA cannot be ignored. Osteoporosis has also been linked to breast cancer. This is because low levels of estrogen in individuals suffering from the disease can lead to weaker bones (10). Therefore, the use of CLA supplementation offers a dual preventative benefit. It's unlikely that it will serve as a total care solution to the disease, however, it may act as a preventative measure for osteoporosis. This is due to the fact that it helps ensure the body absorbs calcium into the bones as well as prevents the activity of harmful osteoclasts. 6. Can CLA Manage Diabetes? As previously mentioned, CLA Safflower Oil and other sources of it can promote weight loss. In doing so, it can combat type 2 diabetes. Beyond the fat burning potential of this substance, it can also manage diabetes in other ways. One particular study suggests that it can regulate insulin levels. 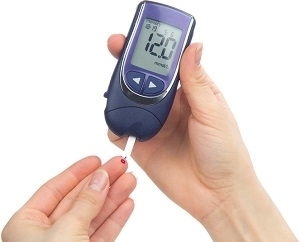 Irregular insulin levels are a primary contributor to type 2 diabetes. Insulin resistance can result in prediabetes, whereby your blood glucose levels are higher than usual. Conversely, too much insulin results in excess fat storage. Therefore, the supplementation of it can maintain insulin level balances. And, it can prevent obesity and the onset of diabetes (11). These studies are not entirely conclusive. Other reports suggest that it may have no effect on insulin levels and, therefore, is unable to manage diabetes. What's important to note is that research is still being conducted in this area, though the fact that it can aid weight loss will likely mean it can reduce the onset of diabetes. Though studies have not come to a final conclusion regarding its role in managing type 2 diabetes, it can aid in areas that would otherwise lead to the disease. As an example, one of the most prominent benefits of CLA includes weight loss. Obesity is a primary contributor to the condition, therefore, it may reduce the development of type 2 diabetes. There is a lot of discussion surrounding the health benefits of CLA. However, there is a significant number of studies supporting it. Some of the main advantages of it include its fat burning potential, cardiovascular support, cancer-fighting properties, immune support, role in strengthening bones, and managing diabetes. Though these are not entirely conclusive, one cannot ignore them. The benefits of CLA will likely continue to receive support, and if you wish to take advantage of these benefits, then there are many quality supplements to consider.